In-Kind Donations help us defray the cost of building a standard Habitat for Humanity home. 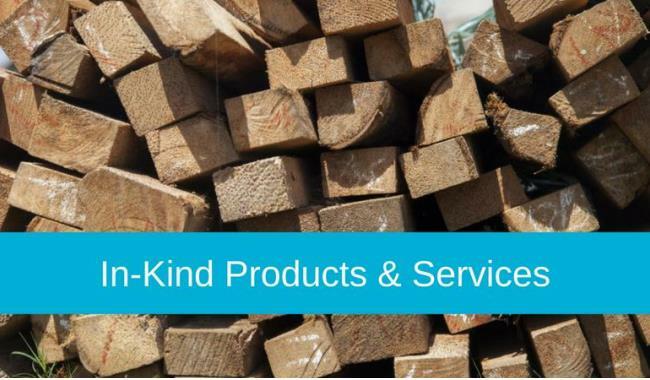 Perhaps your business, congregation, civic organization or family offers a service or product which we can use in our ReStore, on our construction site, or in our Habitat offices. Please contact the Administrative Office at 912-353-8122 if your company has product or services to donate or to learn more.